Keep up to date with our recent news. Click here to download our July 2012 newsletter. Download the updated Korokoro Valley & Belmont Regional Park Plant List. Visit our News & Updates page for upcoming events. We welcome members of KEG and any community members to any of our committee meetings. See the News & Updates Calendar for the date of the next meeting. KEG supports and encourages a range of worthwhile community initiatives. Areas in which we have been active are listed below. Leads community opposition to the proposed Petone Grenada link road which could destroy the Korokoro Valley environment. Encourages people to use the reserves for recreation. 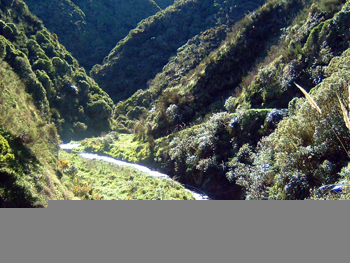 Makes and maintains bush and hilltop walking tracks such as O'Donahoos and Puketirotiro. Restores and sustains bush reserves by weeding, planting and pest control. Makes constructive submissions for HCC Long Term Community Plan to get funding for safer roads and other environmental initiatives. 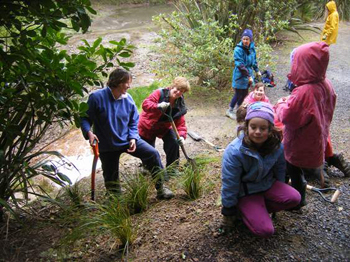 Lobbies for visual and ecological improvements such as felling Galbraith's Gully pines. Negotiates with developers to aim for well-planned sub-divisions, e.g. by providing for walking access to Korokoro Valley. Lobbies for signs to walking tracks and directions for Maungaraki Rd. Pursues legal processes to defend Korokoro's direct vehicle entry onto SH2. Suggests names for new reserves and roads, e.g. Huggans Hollow, Te Ahi Parera. Contributes to better planning for Korokoro by liaising with local and regional councils. Keeps in touch with other community and environmental groups. Members of the community and KEG assist GWRC to monitor mustelid and rodent numbers in Korokoro Valley. Understanding the impact of these animals is important in order to protect our regenerating bush and enhance habitat for native species. KEG aims to do at least four annual working bees in areas suggested by the community. 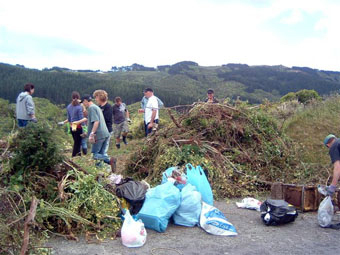 Areas in which we have worked include Percy's Scenic Reserve, roadside and park on Akatea Road, the bank of the carpark at the bottom of Korokoro/London Rd, track up to Puketirotiro Lookout, Titiro Moana Rd and Galbraith's Gully. KEG needs your support to work collectively for our community. Please contact Julie Haggie if you wish to volunteer, on 04 589 1704.